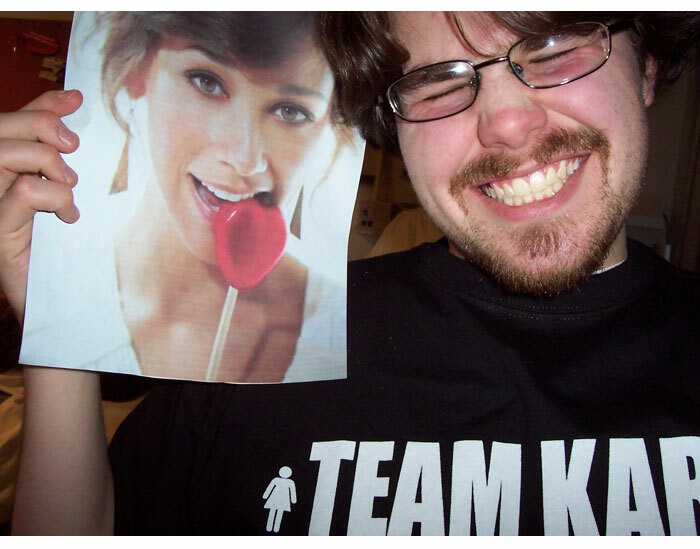 and Zulkey, who is Team Karen, all the way. 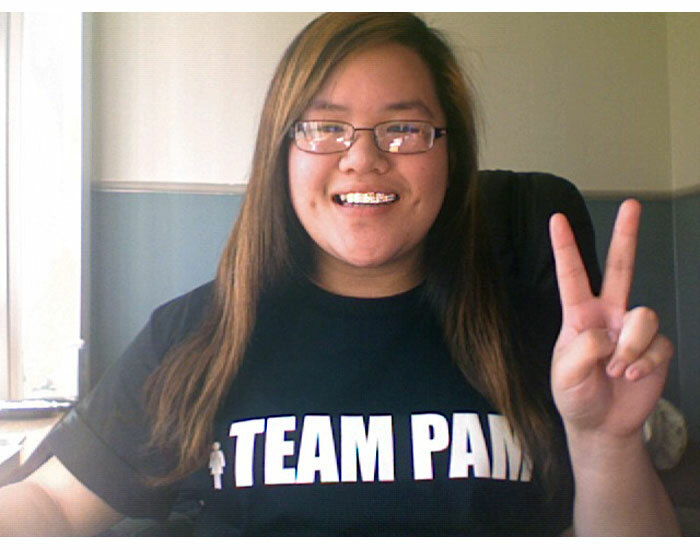 Team Pam and Team Karen Shirts are shipped via USPS and will usually be mailed shortly after the order is placed. Additional time may be necessary as demand grows. But cut us some slack, eh? After all, it's just the three of us here. and so it all comes to a close. we thank you once more. extra hard for Team Karen (see below). with, as she says, her "grillz." Claire wrote about The Office in the LA Times! 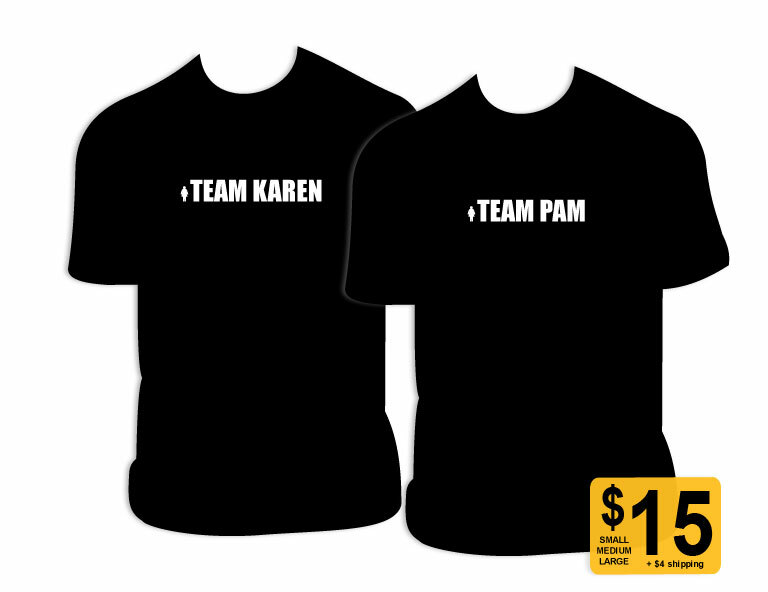 Karen shirts have out-sold Team Pam. people are getting tired of the passivity? Or is it just a growing Karen movement? 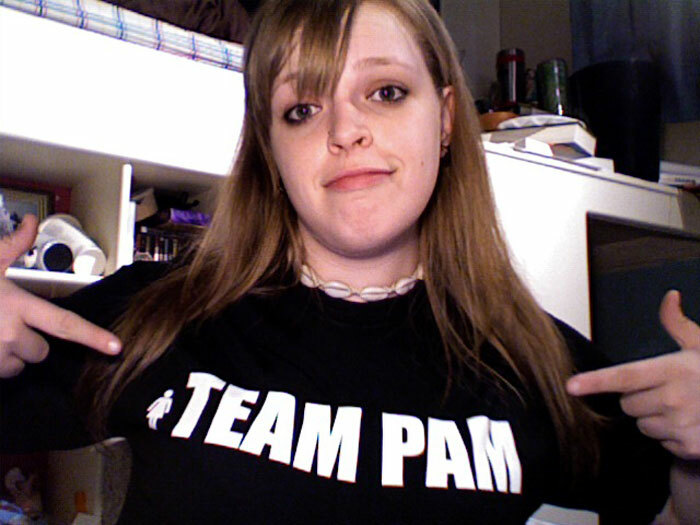 brought out the Team Pam representation. Holiday rushes can't hold us back! you to pledge your loyalties. You thought we'd disappeared, no? coming home to put together orders. into envelopes well into the night. get the next shipment in. captured over the last few days. batch would be in right away. sent us words of encouragement. We appreciate it to no end. 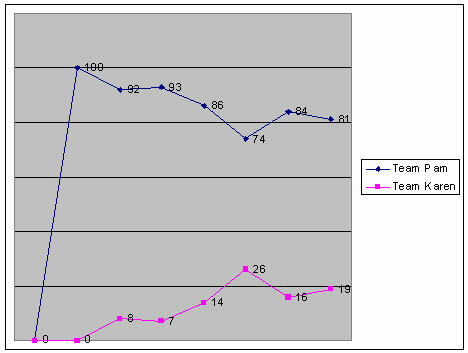 tally of who is ahead in sales. you've got some representing to do. fit just like a t-shirt should. shirts are 100% cotton or not. 100% cotton, all the way.